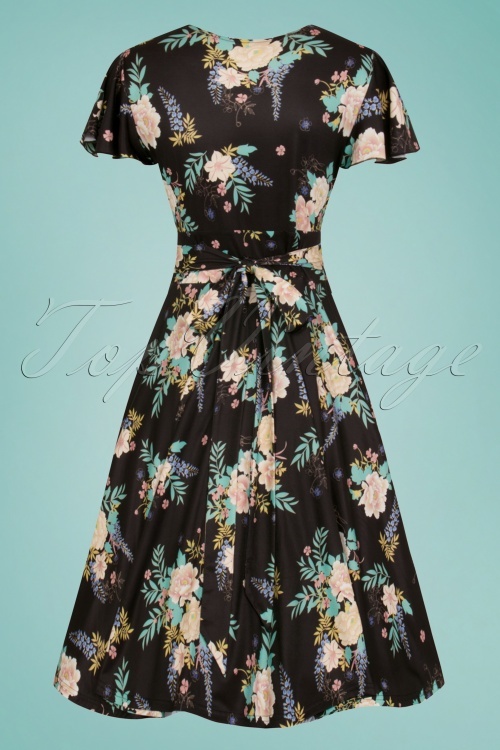 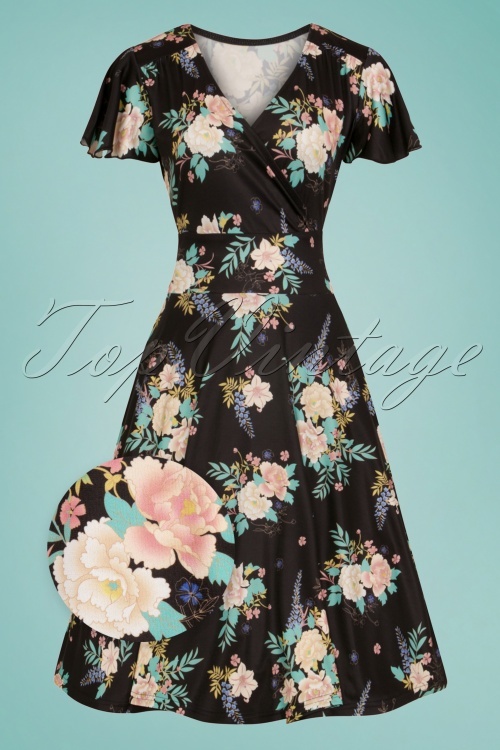 This 50s Flora Dress in Black proves that you can rock flowers all year round, not just in spring! 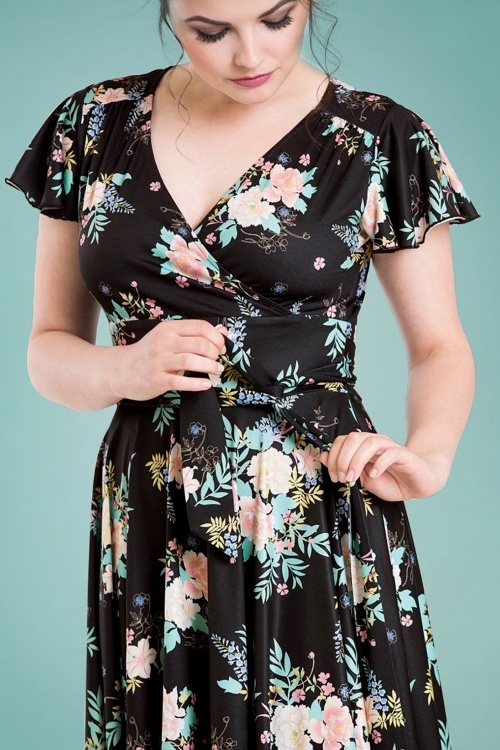 Flora features an elegant V-neckline with wrap over top, flattering short butterfly sleeves and runs from the wide waistband with matching sash down into a flowy semi- swing skirt, creating a super feminine silhouette. 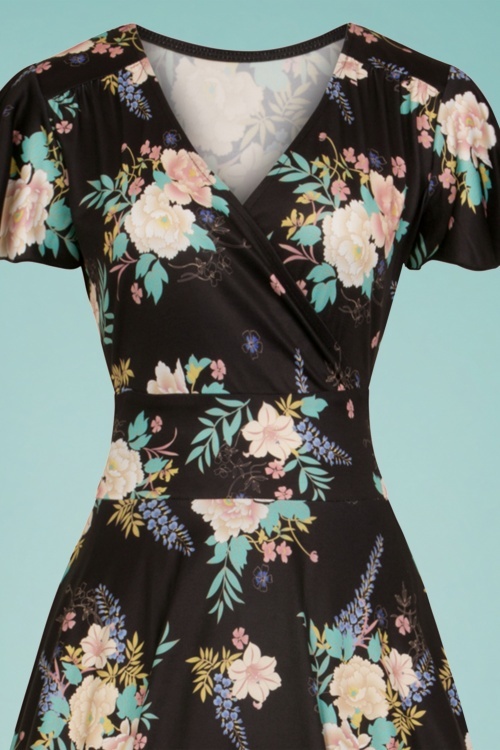 Made of a soft and supple, stretchy black fabric for a lovely fit, featuring a stunning floral print in pastel colours adding that spring vibe. 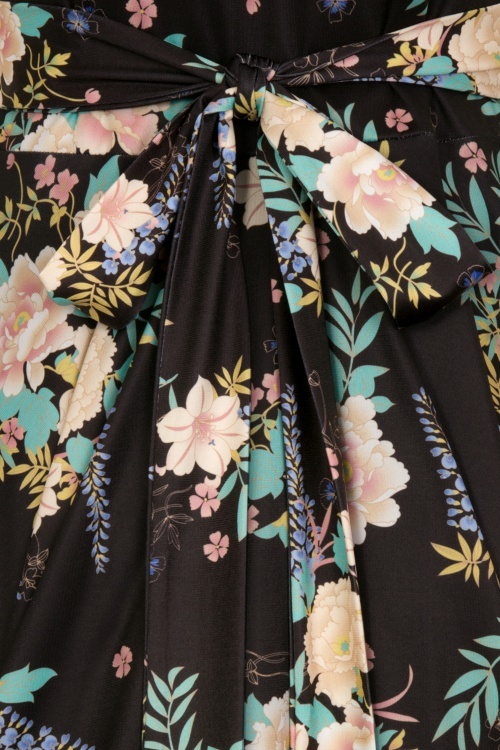 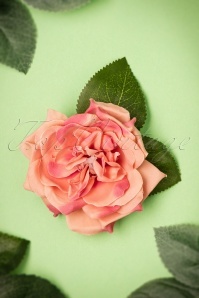 There's always a good reason, to wear flowers every season! 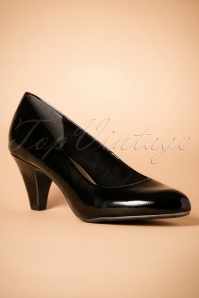 Hits the knee at a height of 1.70m /5'7"